Apologies for those blog readers who have been waiting to read a detailed review of JaPo's latest title - the story of Luftwaffe jet reconnaissance operations and aircraft over Czech territory in the final months of the war! This is a seriously impressive work, replete with top quality information and photos - the contents have taken a while to digest and assimilate! This then is the latest 160-page A-4 softback from JaPo devoted to the Luftwaffe over Czech territory at the end of the war and more specifically the relatively little-known history of the production and activities of the reconnaissance variant of the Me 262 jet that took place in Bohemia. Thanks to its superior speed the Me 262 was an idea platform for short-range recce missions and while resources were modest both in terms of pilots and aircraft deployed, the Me 262 reconnaissance force was active right up to the last days of the war, especially over Czech lands. Oblt. Herward Braunegg had been ordered to set up an experimental jet recce unit during the summer of 1944 at Lechfeld leading to the establishment of the first jet recce Gruppe in NAG 6. The first Me 262 recce machines were the interim Me 262A-1a/U3 Behelfsaufklärer, modified from the standard jet fighter, development of which took place at Messerschmitt's parent factory. The aircraft featured two Rb50/30 cameras in the nose, requiring the installation of small teardrop fairings over the gun access panels, the standard nose armament itself being deleted with a single Mk 108 cannon being retained in some instances and moved to a central position in the nose of the aircraft. Trials took place utilising machines assigned to EJG 2. The authors examine in detail the concept of the 'new' ME 262 recce design and then explore the attempts to conceive a reconnaissance variant based on the standard Me 262 fighter. Possibly the most fascinating section of the book is a description of Me 262 production and repair in the Protectorat detailing the activities of the two main constructors, Heinkel's FWE (Flugzeugwerke Eger) at Cheb and LBB (Leichtbau Budweis). The research is outstanding, assiduously compiled from fragmentary documentary sources and rarely seen photos. There are extensive records of the aircraft repaired, produced and operated in the Protectorat, along with the variants and descriptions of camouflage and markings and operational service. According to documents from the Gen. Qu. the Luftwaffe took possession of some 33 photo-reconnaissance Me 262As assigned to NAG 6 and NAG 1 which were subsequently re-assigned to III./EJG 2. The accounts of production in both Budweis and Cheb are as complete and as informative as the authors could make them - Allied bombing raids against Bohemian production plants are detailed and there are rare personal testimonies of flight testing and operations from Czech technicians. 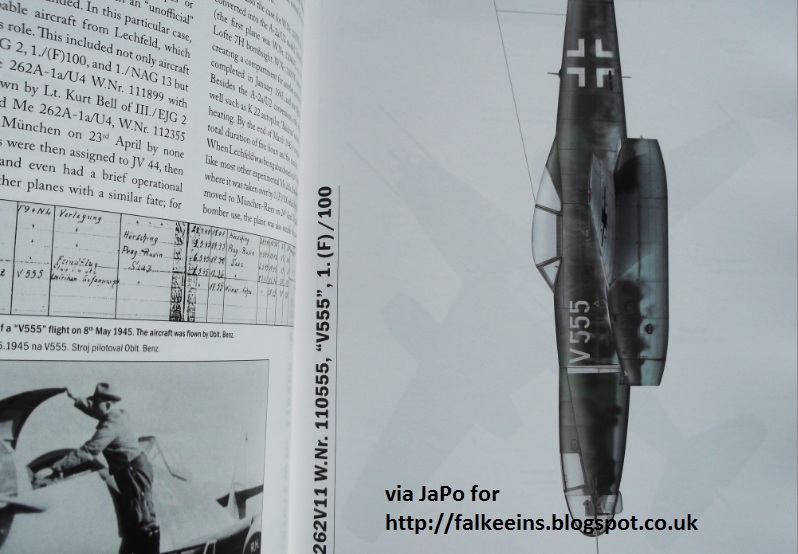 Note that the book also includes analysis of standard Me 262 A-1a jet fighters assembled by the LBB with five pages devoted to 'Yellow 3' of 3./ JG 7. Reconnaissance Me 262s were even deployed in their place of origin.1./NAG 1 arrived at Cheb on 17 April 1945 but quickly tangled with 9th AF P-51s and P-47s. "White 5" of the Stab./ NAG 1 was shot down as it set up for a landing at Cheb and the pilot Ofw. Peter Wilke was killed. By late April 1945 those remaining jet Staffeln still operating had transferred to Prague-Ruzyne and were assimilated into the Gefechtsverband Hogeback. 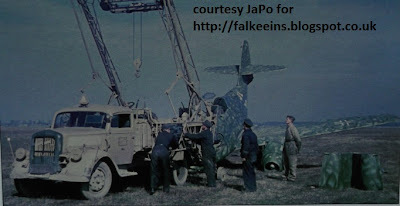 The battle for Prague raged until 7 May 1945 with the Me 262 recce Staffeln operating right to the end. A certain number of recce Me 262s with two-digit tactical markings were found at Lechfeld after the war and the JaPo authors ( Tomas Poruba, Ales Janda and David E. Brown) have undertaken a detailed analysis of fifteen individual aircraft - of FWE and LBB origin- mostly on the strength of NAG 6, illustrated with superb profile artwork and photos. This section of the work provides new insights into the evolution of late war camouflage and unit markings for the Me 262. By way of example, no fewer than 10 pages are devoted to colour and B&W photographs of Me 262 A-1a/U3 'Red S' WNR. 500??? (..identifying it as a FWE machine). This machine crash-landed on 1 April 1945 at Brandis and was later extensively photographed wearing the markings of 'White 26' of III./EJG 2. The authors attempt a comprehensive history of this machine, assigned to Braunegg's NAG 6 and featuring what was effectively an unauthorised Mk 108 cannon repositioned in the nose. Thanks to its characteristic scribble-pattern camouflage pattern the aircraft could be identified among other wrecks at Lechfeld at war's end. 'White 27', 'White 29', 'White 30', 'White 33' and 'White 34' receive similar coverage, with the history of each of these machines related through log-book entries and post-war flight test and accident reports from the pilots of the 54th Disarmament Squadron, dubbed 'Watson's Whizzers'. 'White 34' is of particular interest - it was the only aircraft from EJG 2 not found by the Americans at Lechfeld but on the edge of the four lane highway at Brunnthal. The U3 reconnaissance nose had been replaced on this machine with a standard A-1a fighter nose finished in Ikarol 201 Green. Beautifully clear photos of the Brunnthal wrecks also show that this machine featured an entire replacement wing which had been left unpainted - other sources merely mention 'replacement engine intake rings '.. While there remains the possibility that 'White 34' had been 'pieced together' by American technicians post-war the authors conclude on balance that the photographs of 'White 34' show the aircraft's original appearance while in Luftwaffe service making this a particularly motley-looking machine and one worthy of much closer consideration from Luftwaffe modellers! Two pages of artworks ensure that you get the best and most accurate interpretation possible of this fascinating machine.. The second part of this very impressive work covers the final operations of Arado Ar 234 Bs and Cs over the Czech lands (partial page view above), detailing sorties flown by aircraft serving with 1. (F)/100 and III./EKG 1 from pilot log books and recollections. 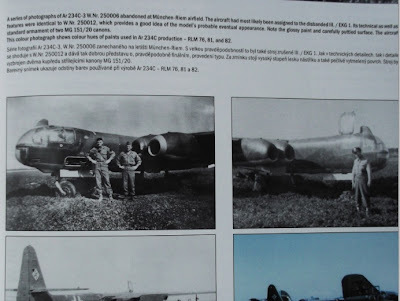 The rare Ar 234 C-3s abandoned at Prague-Ruzyne are covered in depth (some eleven pages) and other jet aircraft operating over Bohemia including the Me 262 V11 'V555' receive detailed treatment here (eight pages, partial page view below). 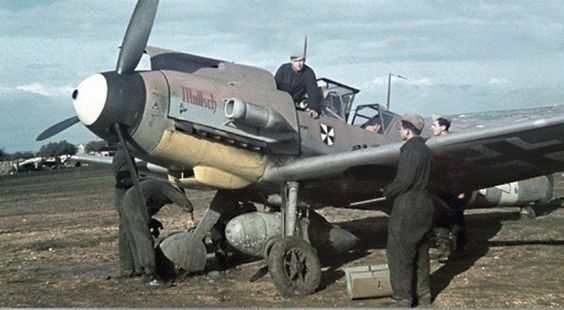 This chapter also looks at the possibility that other jets and rockets, specifically the Me 163 and He 162, may have been deployed in the Protectorat. 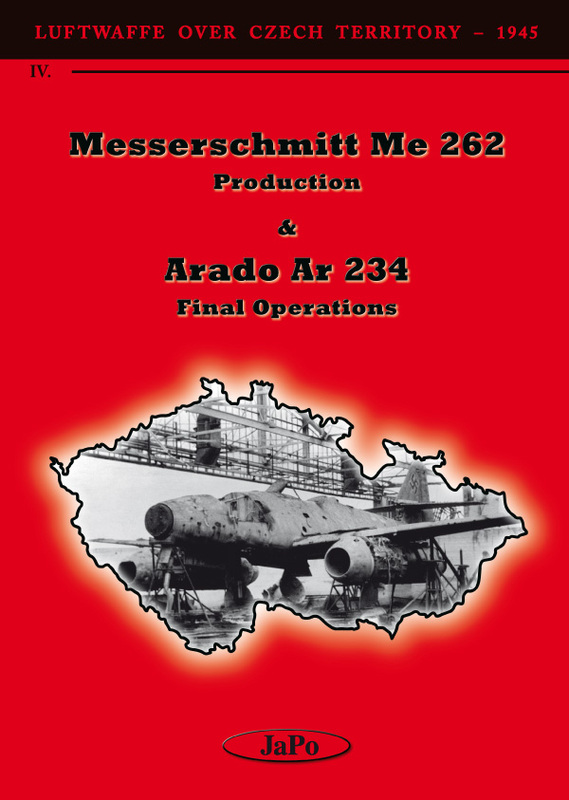 The final section of the book comprises ten pages devoted to Luftwaffe dispositions for the fighter protection of Me 262 air bases in Bohemia - this is material supplementary to the publisher's previous " Messerschmitt Me 262s of the KG and KG(J) units". There are several pages of detailed analysis and description of a rare Bf 109 K-4 of III./JG 27 deployed in the Luftwaffe's fighter umbrella over Bohemia. To conclude, this is a title that the Luftwaffe blog recommends unreservedly especially for aficionados of Luftwaffe jet operations and production. It is replete with incredible details, difficult-to-find high quality information and very many photos (over 200) and documents, including flight log book facsimiles and WNr lists. The profile artworks are stunning. It is difficult not to agree with the publishers when they state that with this volume they have created the definitive account of Me 262 operations over Czech lands at war's end. A top quality work from JaPo! Congratulations!